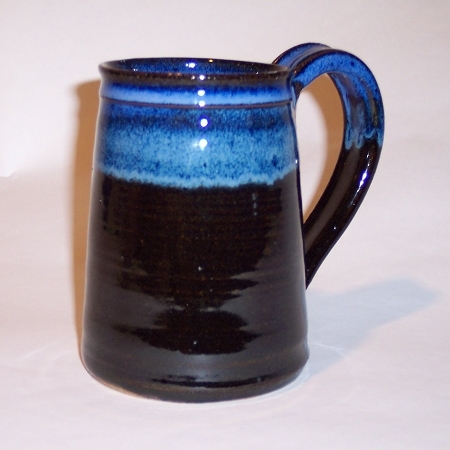 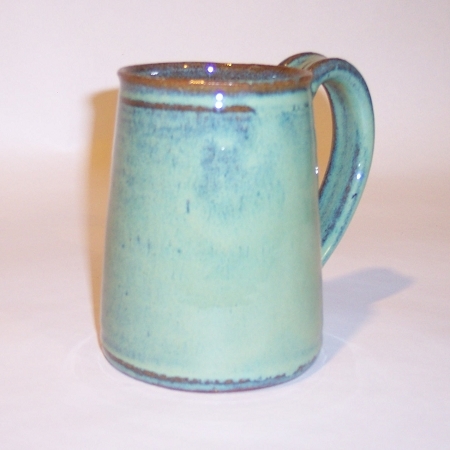 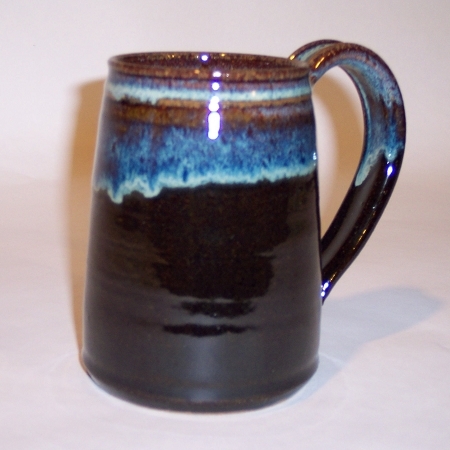 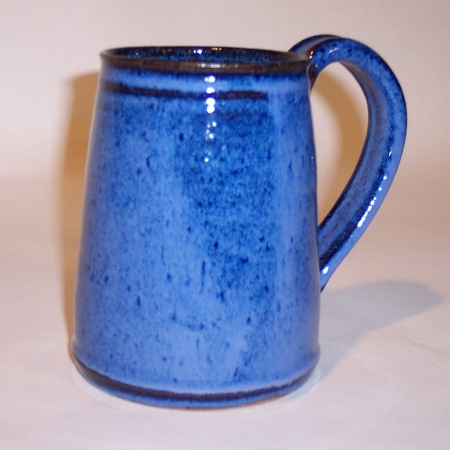 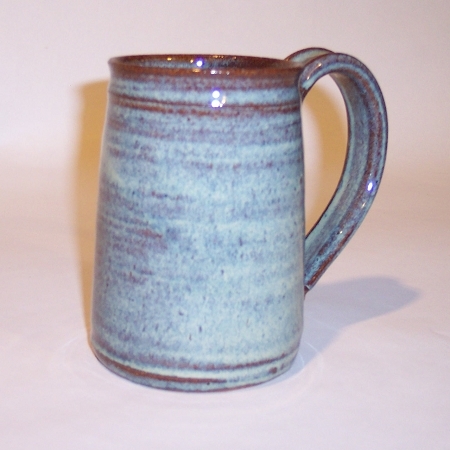 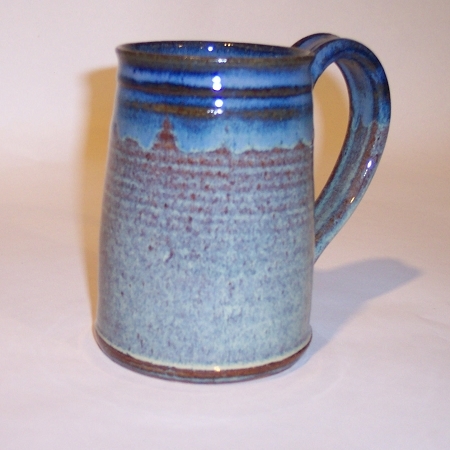 These larger Stein-type handmade pottery mugs hold 17-20 ounces. 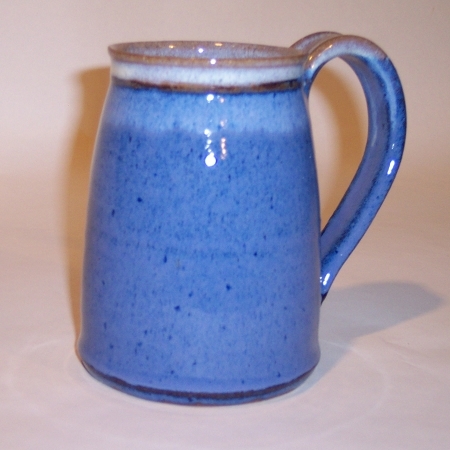 They are comfortable and very stable. 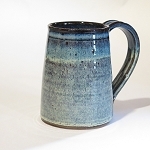 Each hand thrown mug is individual wheel thrown and is unique in size and shape. 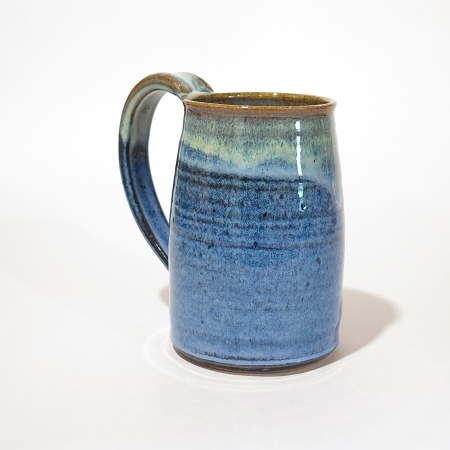 Therefore, the no-tip stoneware mug you receive will not be exactly like the one you see.